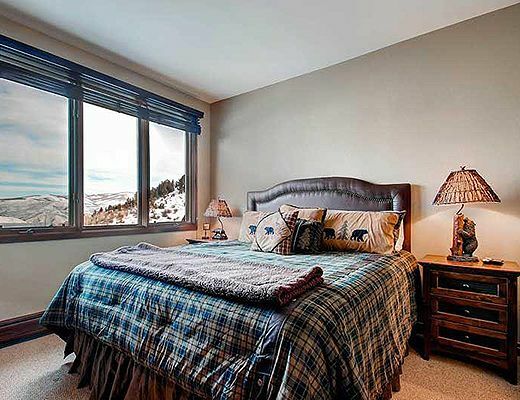 Highlands Slopeside #207 is a three bedroom, 3 1/2 bathroom two story residence. 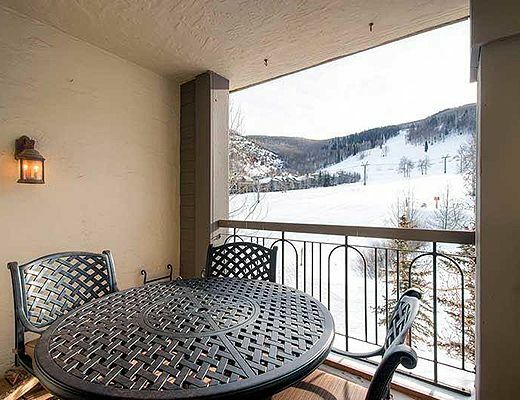 The building offers convenient ski-in and ski-out access. 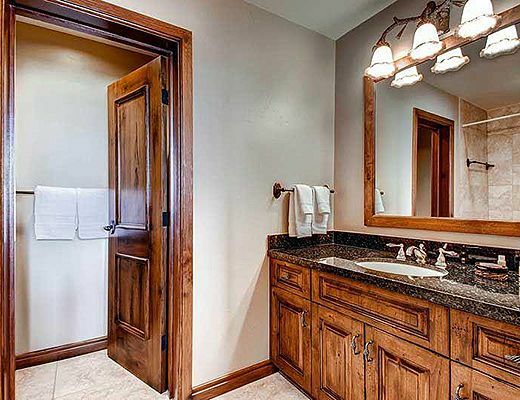 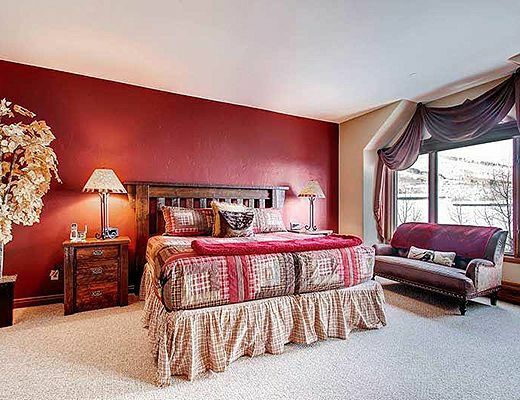 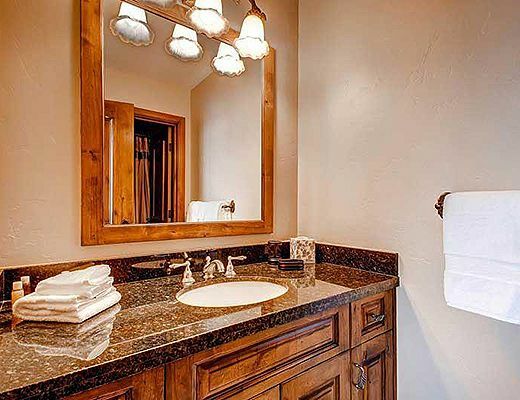 The master bedroom is on the entry level and has a master bed with an upgraded bathroom. 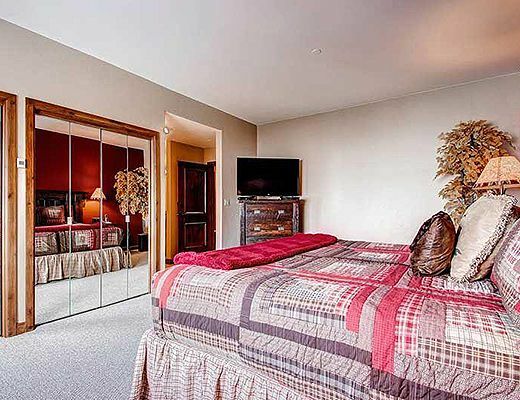 The upper level has a bedroom with a king bedroom and upgraded bathroom. 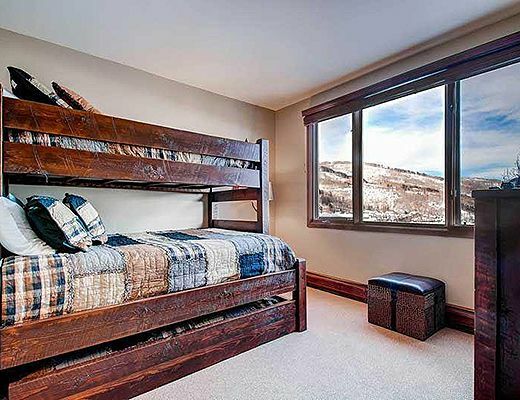 The third bedroom has a captain's bunk (queen below and twin up top) with a twin trundle, and also has a flatscreen TV and DVD player. 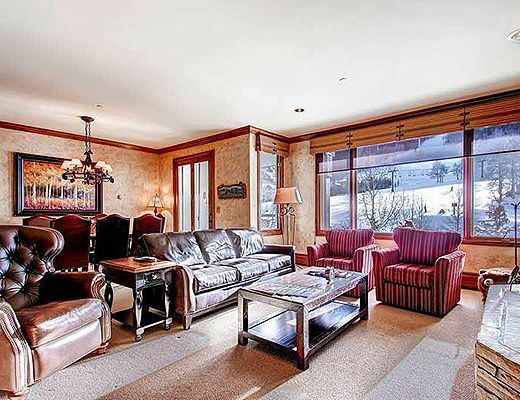 The living room overlooks the Haymeadow slope towards the Beaver Creek gondola. 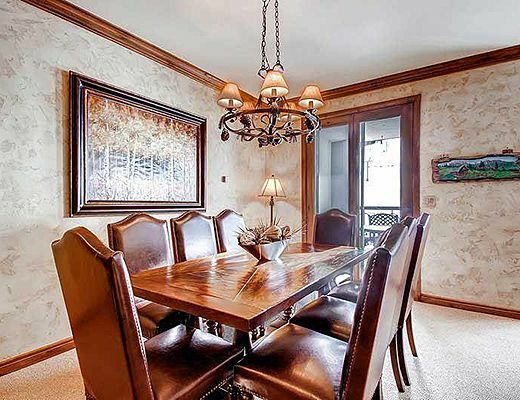 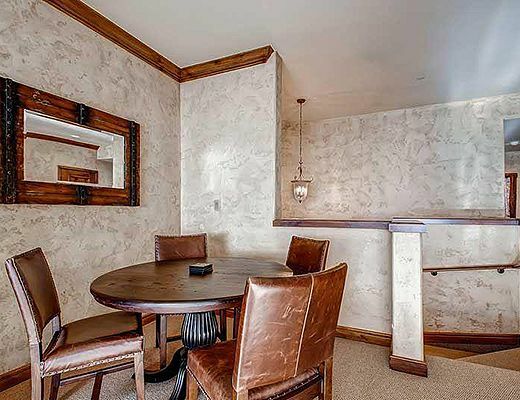 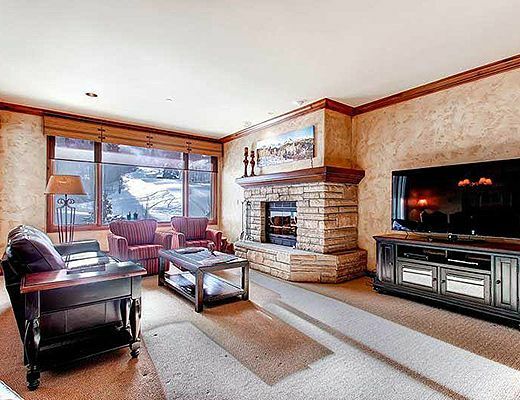 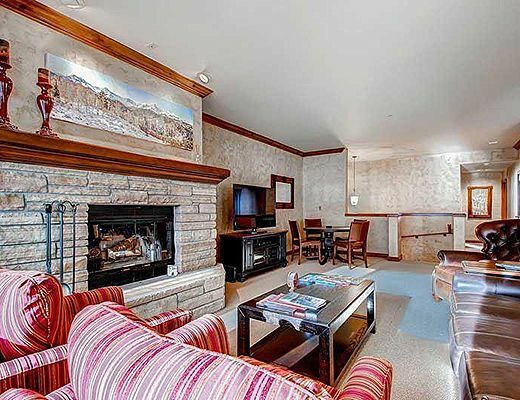 Elegant mountain decor and a wood fireplace provides a sanctuary after a fun day on the slopes! 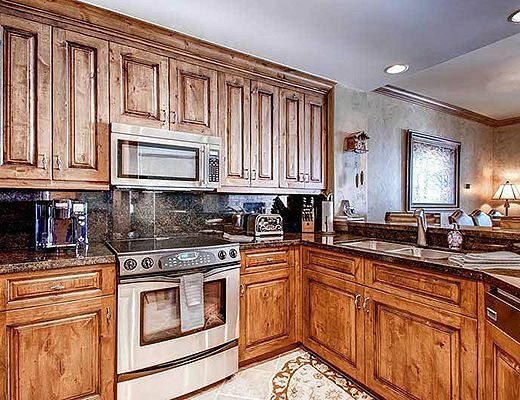 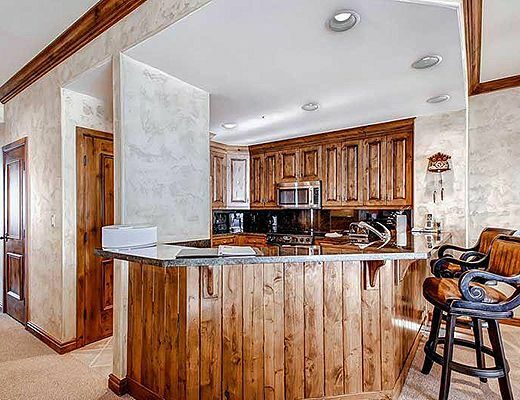 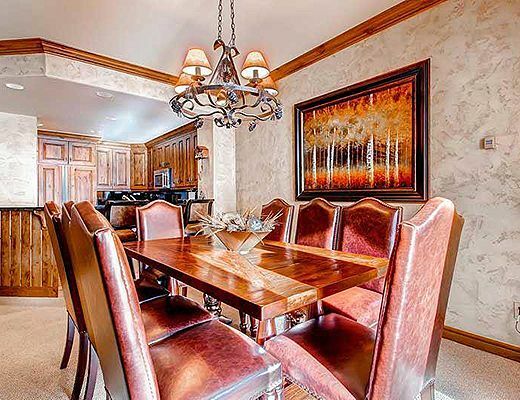 The upgraded kitchen has granite counters, stainless steel appliances and lovely wood cabinets. 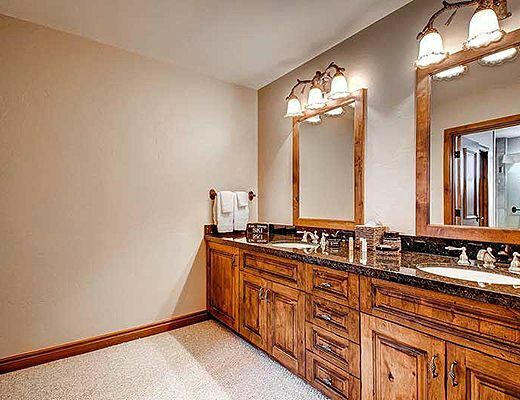 Special Note: Please note, there is no tub in the bathroom.